This is me catching sight of the mailman coming back. You better wait a minute, wait a minute. Deliver the letter, the sooner the better! How great is this song? So this was sort of an accidental theme. 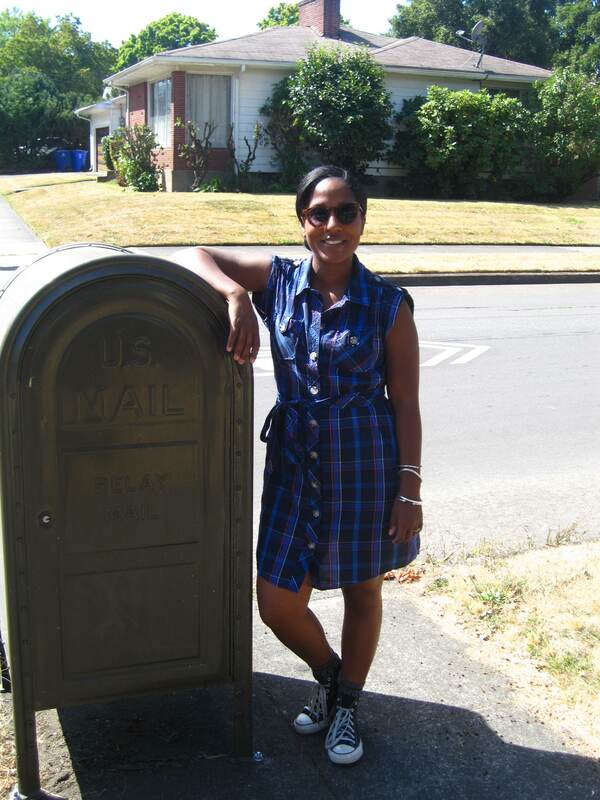 When me and my guys were out and about I saw the mailbox and told Andy to take a picture of me in front of it. 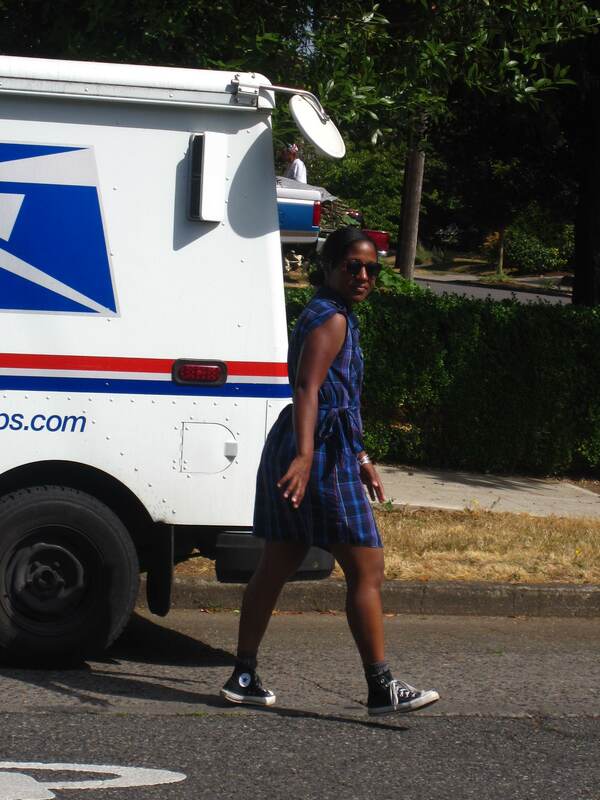 Then we came upon a mail truck and I did some more posing. As I was uploading pictures later I said, “Heeeeeeeeeeeey. 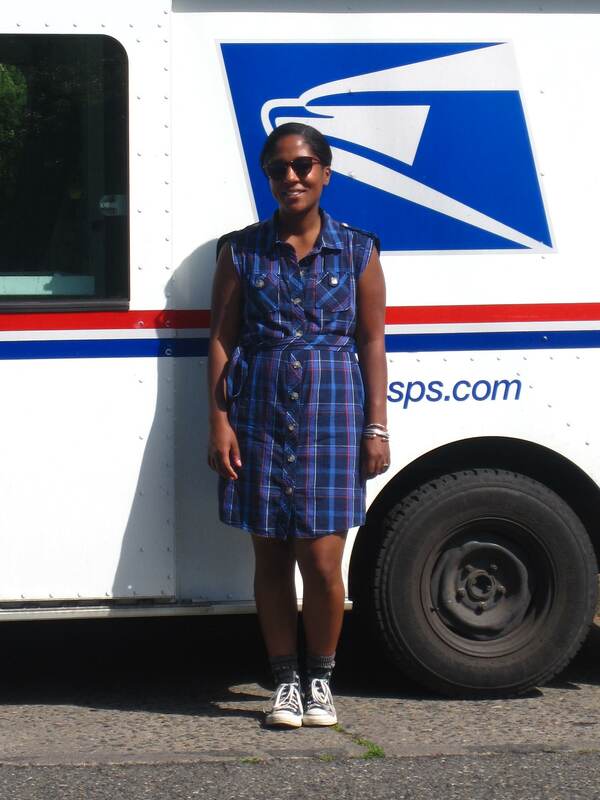 Nice.” It’s too bad I wasn’t wearing my knee high postman socks, my father in law worked for the postal service for over three decades and before he retired he gave me several pairs of socks that I love (also – Andy used to practically live in his dad’s old post office jacket. I miss that old thing, it’s so Andy!). But what I am talking about? As you can see in the last picture, I was melting. No unnecessary articles of clothing, thanks! 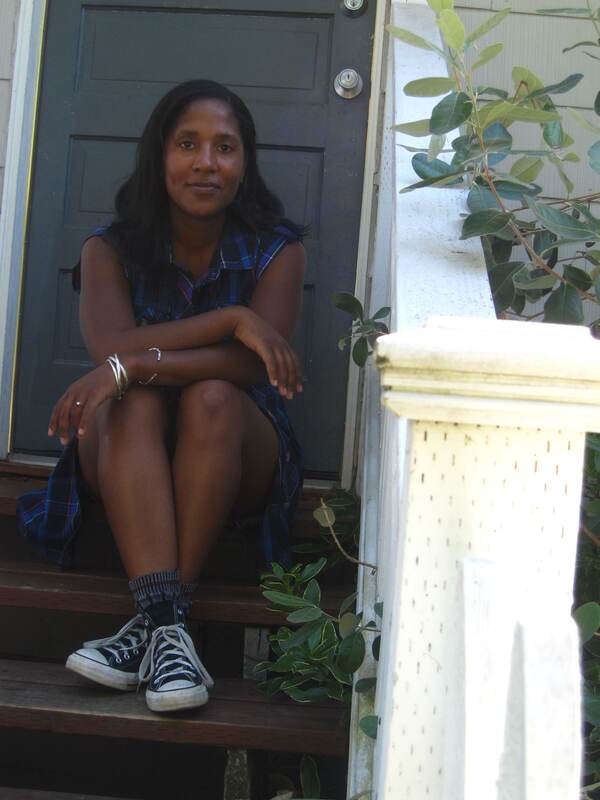 I was hot enough in my chucks, probably should’ve worn sandals. Anyway, I love this dress, I can’t get enough of the epaulets! 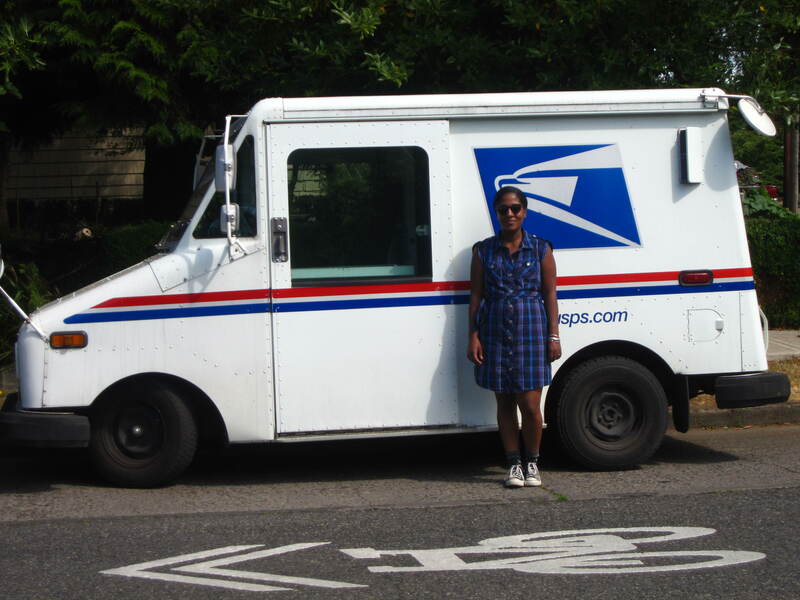 ETA: Now I can’t stop listening to bands/music that reference the art of delivering mail.